Of course any car can develop faults, and it is natural to assume that an older car will have more than its fair share, but that’s not typically the case. One factor which helps redress the balance is that the older models are far less complex in design and have much less to go wrong in the way of electrical and electronic systems which can be the achilles heel of current models. The recent obsession with weight saving and introduction of design complexity in the ceaseless quest for fuel economy and emissions reduction has also led to somewhat flimsy construction and the potential for premature failure in current models, even in prestige marques like Mercedes. 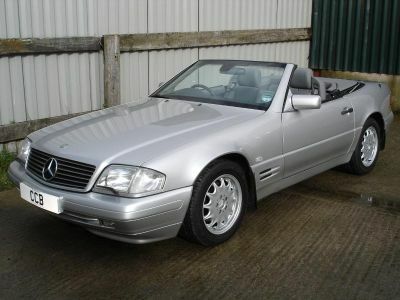 A well maintained twenty or thirty year old Mercedes feels just as smooth, quiet and safe as any nondescript current model, even with well over 100,000 miles on the clock. It is completely practical as an everyday car, or alternatively you can keep it as a weekend treat. It does however sometimes come as a shock to those who haven’t yet experienced ownership of such beautiful cars that there are just as many neglected examples out there as there are pristine concours winners. It is strange but true that purchasers of expensive new Mercedes cars sometimes skimp on maintenance and repair. Our task is to find the right cars for those who can appreciate them, and help them enjoy the experience in the long term, both sensually and financially.